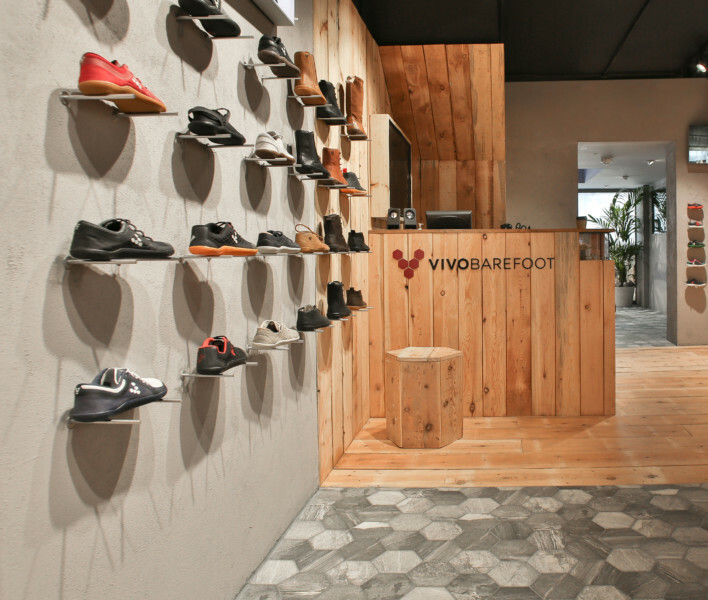 Junior collaborated with the Vivobarefoot team on the interior design for their recently opened flagship store on Neal Street, Covent Garden, and in doing so, created the blue print for their global retail experience. 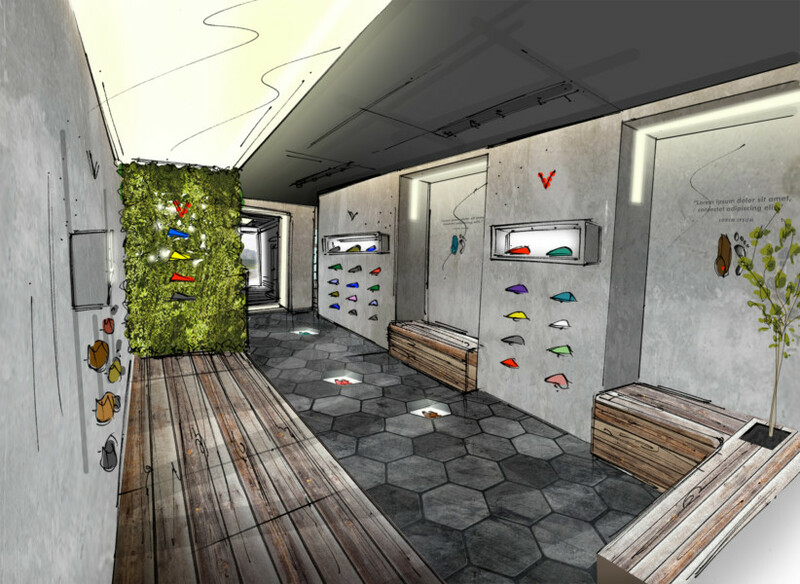 We worked alongside Asher, Vivo’s co-founder and the creative force behind the brand to transform the London location into a place that showcases the shoes in their intended environment as opposed to a traditional retail space. 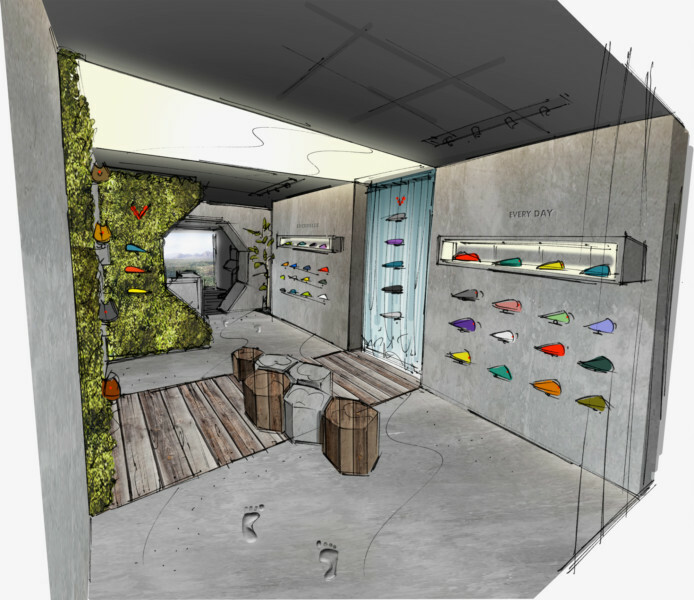 Junior provided sketch intent and constant guidance, advice and support to the Vivo team throughout the entire process, from material finishes to furniture design and customer flow. 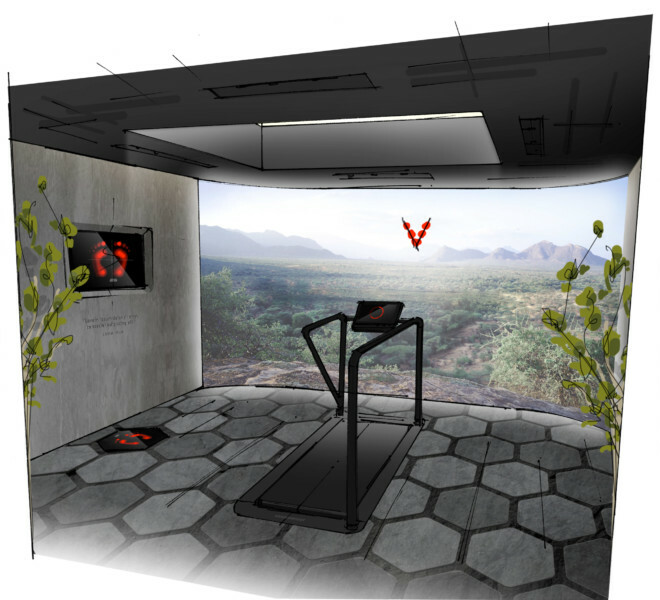 Vivo are focused on challenging the conventional, including shopping methods, therefore we utilised the different senses to create a unique customer experience. 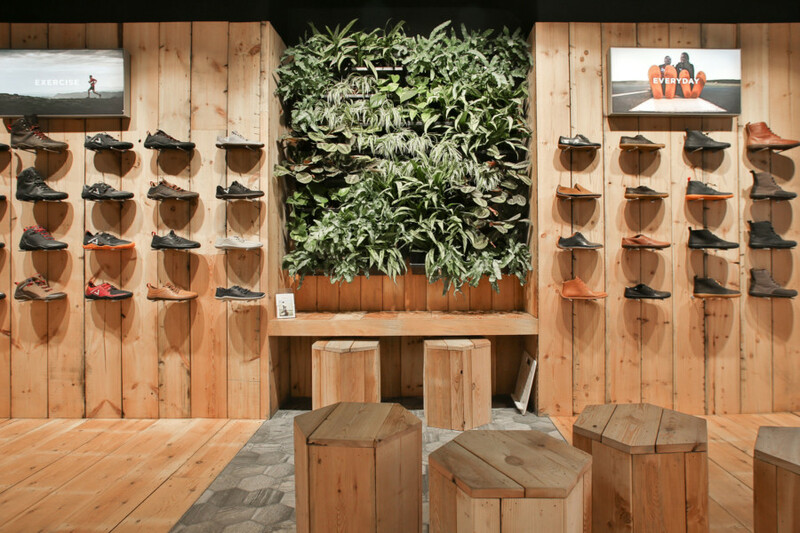 As you move through the shop, you can get a glass of naturally carbonated drinking water as you walk across the raw tactile surfaces, passing a purified living plant wall along the way. Junior employed Vivo’s iconic vista brand photography selectively throughout the space breaking down the walls and bringing the great plains of Africa to Neal Street. On Wednesday 6th December from 5.30 pm, Vivo are celebrating their new flagship launch, and you’re invited. 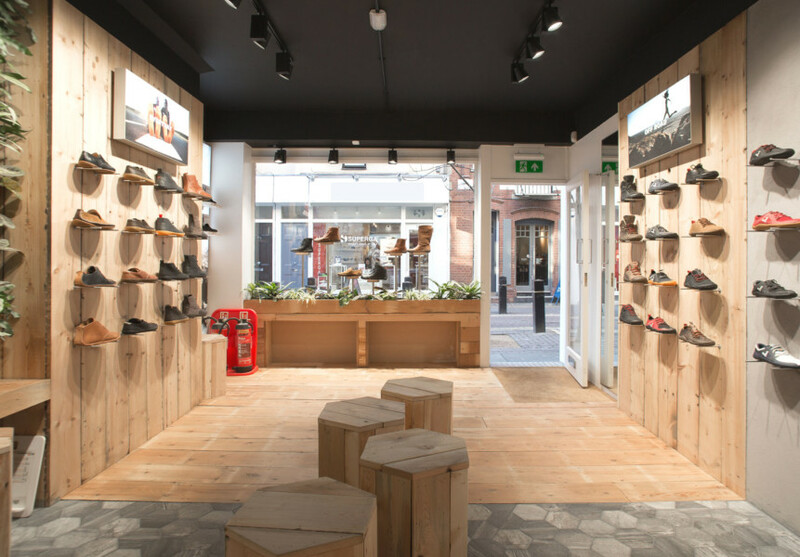 They’ll be offering loads of advice, drinks and food as well as a free t-shirt when you buy two pairs of shoes. 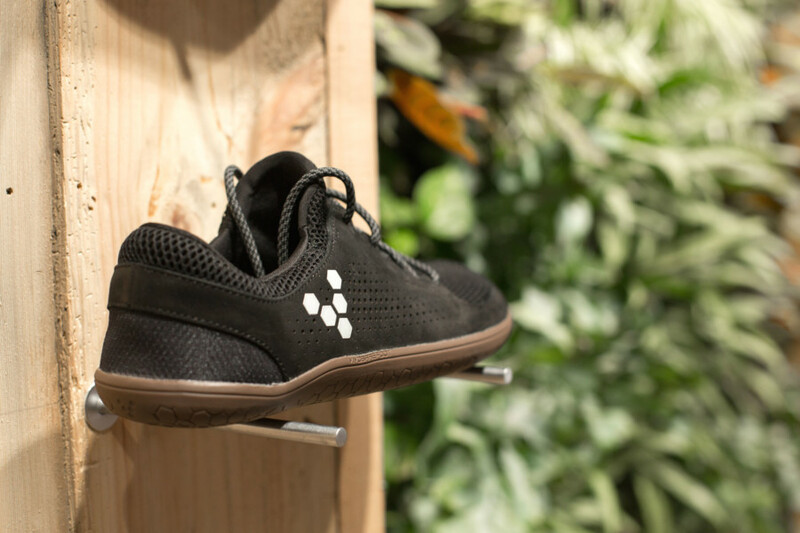 If you’re new to the brand then their expert coaches are also offering free group barefoot transition sessions at 12 pm and 1 pm. We’ll see you there.